Volume 3, Edition 7	 Trouble loading? View this email online. 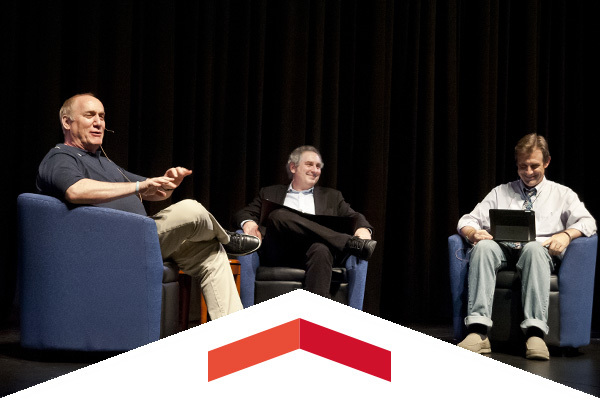 Emmy Award-nominated writer and producer Jeph Loeb (above left), head of the television division for Marvel Entertainment, launched CSUN’s 2015-16 Commerce of Creativity Distinguished Speaker Series. 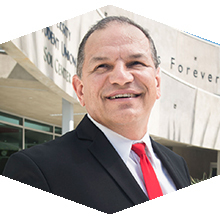 New CSUN Alumni Association President Carlos Fuentes has clear objectives for the future of the organization. Fuentes, a former student government leader and student-athlete at CSUN who for nearly three decades has been successful in the financial industry, is motivated to grow CSUN’s profile and increase pride among the more than 300,000 alumni. Chris and Owen Smith’s story is characterized by love. Both graduates and longtime professors at CSUN, they loved each other, their alma mater and their community. 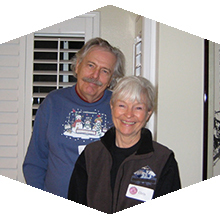 They passed away within 81 days of each other, but prior to their passing, they made sure to give back to the school and community that shaped their lives. Sat, Oct. 3, 5 p.m. The Matadors host the rival Gauchos in a Big West showdown on Youth Night, when kids age 17 and under receive $1 admission. Sun, Oct. 4, 3 p.m. Founded in 1958, this company has been dedicated to the innovation of and excellence in the circus and acrobatic art. The Pulitzer Prize-winning play by Robert E. Sherwood is a comedic tale about an unlikely group of people stranded in an Alpine hotel with World War II looming. It was an underdog mentality — the same one that CSUN alumnus Ty Tramblie has embraced for most of his volleyball-playing career — that helped him win his first-ever AVP Pro Beach Volleyball title earlier this year. CSUN hosted a two-day event to educate the campus and local school-age children about the history an﻿d culture of Native American people within and surrounding the San Fernando Valley. The Black Alumni Association will award scholarships and recognize impactful campus and community leaders, including Harry Hellenbrand, Bibliana (Aldridge) Bovery, LeRoy Geter, Johnie Scott and Marilyn Joshua Williams.